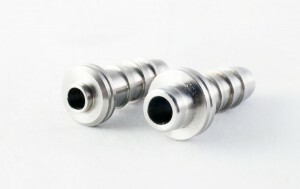 T hese precision machined parts are stainless steel barb fittings for a fuel rail in a passenger type automobile. The stainless steel grade used is specifically made to withstand extreme amounts of corrosion in the field (better than 303 stainless steel for example). 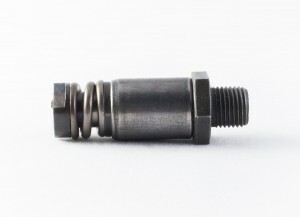 Although this helps with corrosion, it makes the precision machining portion much more difficult due to the high Chromium and low Sulphur in the material chemistry.